Also, a Happy Thanksgiving to our US players next week! That is probably a large chunk of many guardians' lives. 20 Years ago Myself, Sir Lags A Lot and Yukon Bob created The Purple Guardians of Honor in the Ultima Online game engine... first game of its kind and grandfather to all MMORPG after it. Soon we met up with a wizard in training named Balandar, blacksmith named Rattlehead, Warrior Mage Moongem, Warrior Wolf, Mage Warrior Martok..Arthil... Scout... Brightblade, Coldren, Schneider... the list kept growing over time in UO until we were the dominant RP Event guild in Catskills. As other game engines spawned into existence... we launched a home in every one of them. Some were fun and others ... ugh... toilsome. Game companies tended to chase the buck and please only the PVP and what I would call Raven players (pretty lights flashy stuff)... games died. Galaxies held us until that was obliterated by the game company... and then WOW held us and grew a new crop of players... all whilst UO still lingered and moved along with RPrs staying and growing the guild in different ways. Players came and went their different ways but some always would pop back into a current game engine and give it a ride for a while... some still are enjoying the WoW engine and its gear ladder system. I do like seeing the movies and fun stuff people find and it is a cash cow for Blizzard. Many a great hour of fun I have had and many others still have with Blizzard and their game options. Star Wars resurged with Old Republic but just never developed options for guilds much as we dreamed of owning our own Star Destroyer or control of a small planet... maybe someday if we keep Balandar out of the engine room... right Martok? THANK YOU GREATLY for enriching my life and friendships across this blue marble we live on... I truly am humbled to have had so many great people I can call friends and brethren in arms... albeit gaming. I'm 50 now... 2/5 of my life has been involved with my extended family here in now what we collectively call THE HONOR EMPIRE. I hold all my brethren in adventure with great esteem and proudly call you all family to me until the day my server shuts down for the last time. New games are rising soon and none have a greater investment from the ancient guardians than Shroud of the Avatar ( https://www.shroudoftheavatar.com/ ) where we have secured HONOR HOLD within the game as a destination site for the game engine. Balandar and myself have frequent conversations with Game designers including Richard Garriott and Star Long (Darkstarr) about SoTA. 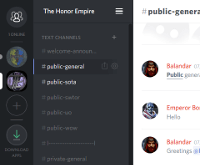 Events, quests, challenges, roleplaying, tournaments, combat or simple goofing off surely will be abound in the months to come and we have land for all the members of The Honor Empire that wish to maintain a home in HONOR HOLD. In 2018 we are working to coordinate a real world event at Sterling NY http://www.sterlingfestival.com/visit-us where the developers of SoTA will join us for the day of mead and entertainment across Warick, including a jousting event and meet and greet... no gaming but discussions and enjoying the atmosphere of the festival. Other game engines of Chronicles of Elyria ( https://chroniclesofelyria.com/ ) we also have invested in a future for our family of gamers with 3 mayor ships looking to combine to create a large footprint for our members to be able to choose any kind of lifestyle within the game engine. [Use friend code 1F0736 if signing up to help earn IP for the guild]. There are many of us also that enjoy other game engines not MMORPG... combat simulations down to the phone apps. Even others of us are actually working together in the real world fighting against the bad part of gaming (sedentary weight gaining via lack of exercise)... as part of the IDLife Garrison... getting healthier and utilizing our teamwork (like gaming raiding groups) to increase our incomes. The key point is no matter what you enjoy playing... 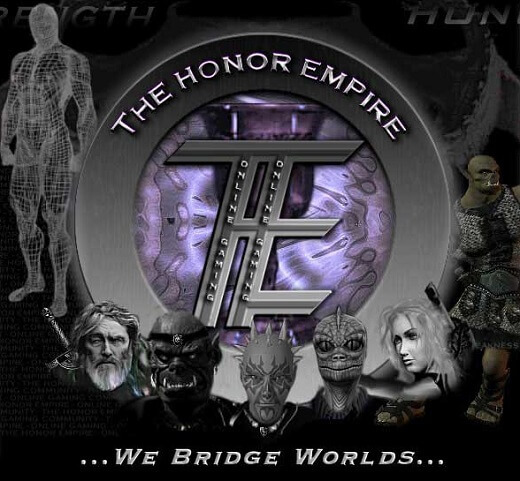 The Honor Empire was built to so that you would always have a home to go to in a game to try it out knowing you had backup or security in numbers or help at the chat option from a friend that you may or may not have spent hours in the trenches with someplace else in the universe that is ONLINE GAMING!!!! Welcome home for all of you that have been busy with REAL LIFE... and GREETINGS to all new players... I am looking forward to meeting and gaming with you. Just remember to keep it fun and leave the real world drama lamas behind ya… purple lama vortexes are tough enough in game to handle. Be good... or a bit naughty if needed... HONOR is in many things and many views. Life is Feudal MMO goes live on November 17th at 4PM EST (no more wipes)!. The Honor Empire will be joining our friends from Chronicles of Elyria, Riftwood, in this massive world PVP, full loot, survival game. Join the Riftwood: LiF discord server, https://discord.gg/6YDjgJM, if you have any questions or would like to join us in this new adventure. The MMO will be available on Steam or directly through the LiF website. 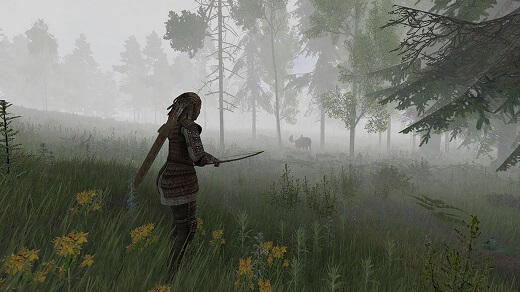 Early packs can be purchased from http://lifeisfeudal.com for those so inclined. If you already own LiF: YO on Steam you will have a free ticket to the mainland (a free character to play the MMO). You can also get $10 USD off on the purchase of the early access MMO packages, just link your steam account with LiF: YO to their official site.